On Sept. 24, 2012, Malayalam cinema saw the irreparable loss and that day witness the sad moment for Malayalam film fraternity. On Sept.24 2016, it past 4 years, when we lost Perumthachan of Malayalam cinema, that is actor named Thilakan. On his fourth death anniversary, we recollect some memories of this great actor. silver screen with four generations of Malayalam cinema. Starting from Prem Nazir to Mohanlal, Mammootty to Dulquer Salmaan, everyone has saw his emergence to master class. With around 300 movies, Thilakan's masterpiece include K G George's "Kollangal" and "Yavanika" and his career include movies like "Lekhayude Maranam Oru Flashback", "Panchavadi Palam", "Yathra", "Pappan Priyapetta Pappan", "Panchagni", "Moonnam Pakkam", "Thaniyavarthanam", "Kireedam", "Chenkol", "Dhwani", "Veendum Chilla Veetukaryangal", "Indian Rupee", "Spirit" and others. 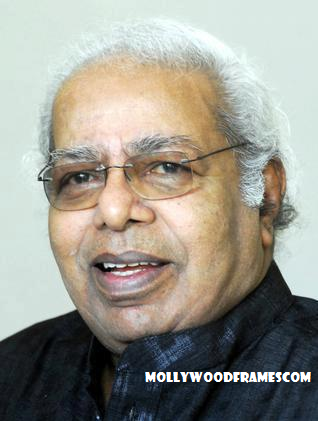 Read - Thilakan says good bye to Malayalam cinema.